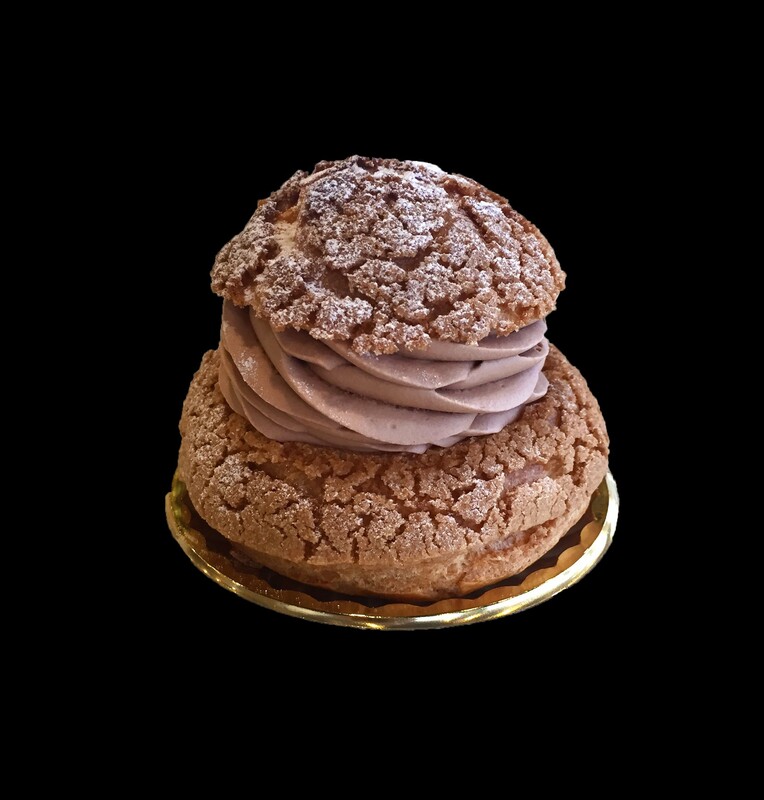 Premium chocolate Chantilly cream mixed with sweetened chestnuts cream is placed between our lightest, crispiest, airiest Gateau Choux pasty. 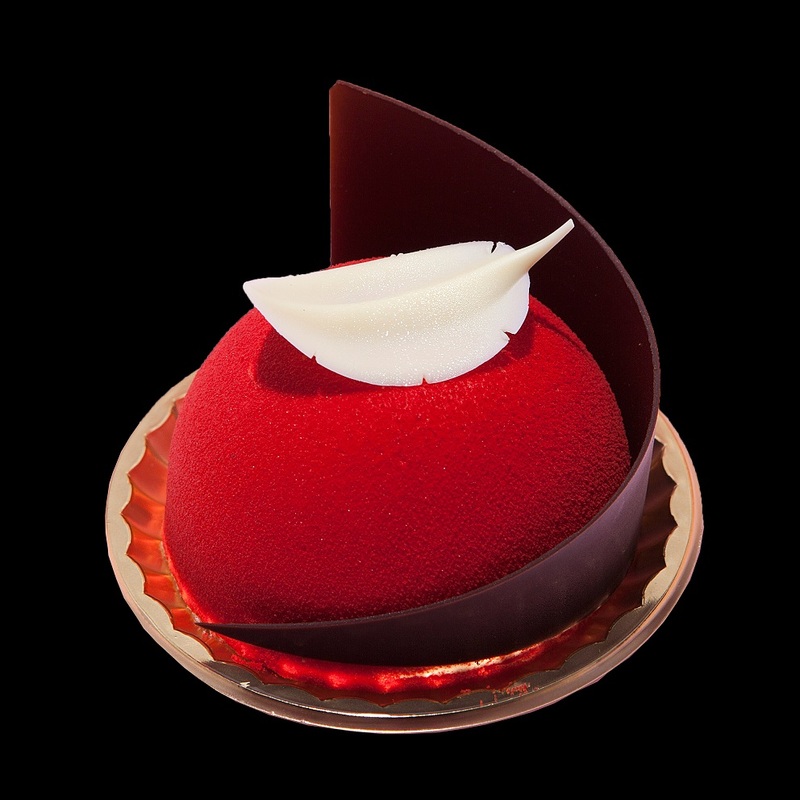 Creamy strawberry mousse and chocolate mousse is on chocolate sponge and coated with red chocolate spray. Highlighted with white chocolate feather & dark chocolate decoration. Two different strawberry mousses- creamy strawberry with pink chocolate spray & fruity strawberry mousse with pink glaze is on white sponge with lychee & raspberry jelly. 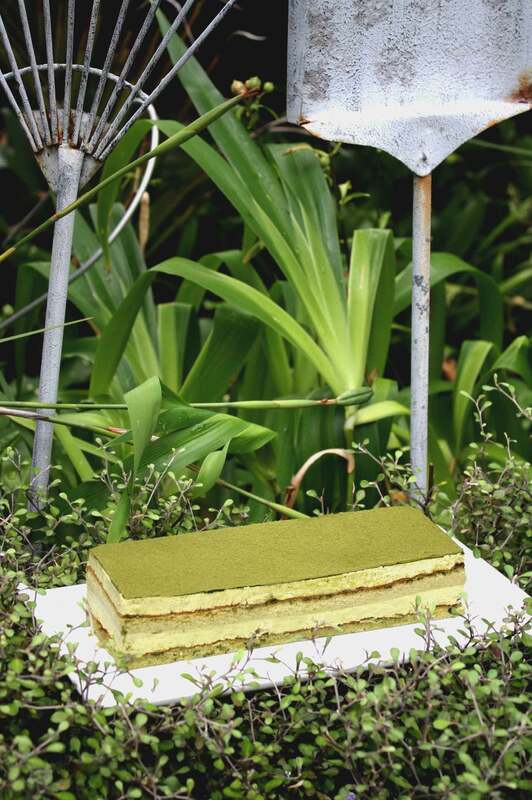 Decorated with coloured white chocolate card and a gold flake. 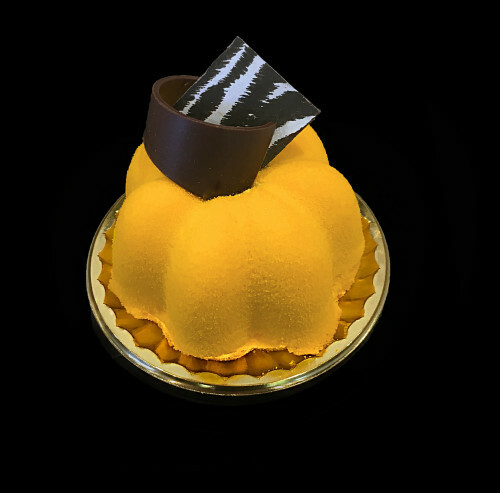 Caramel mousse and chestnut mousse is on white sponge and coated with yellow chocolate spray. Finish with hand crafted chocolate and a gold flake. 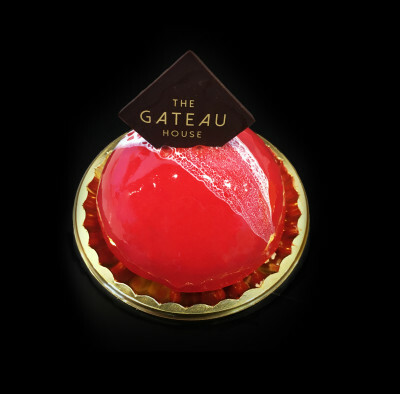 Luscious lychee mousse and raspberry jelly is on a white sponge base. Covered with shiny red glaze. Decorated with logo chocolate. 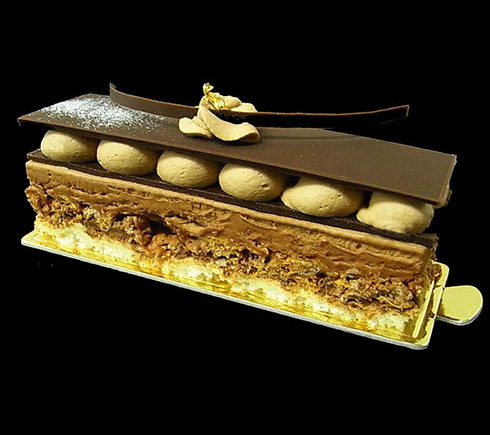 Layers of chocolate mousse, chocolate chantilly cream and praline chocolate coated cereals are beautifully placed on an almond sponge base. Finished with a hand crafted chocolate and a gold flake. 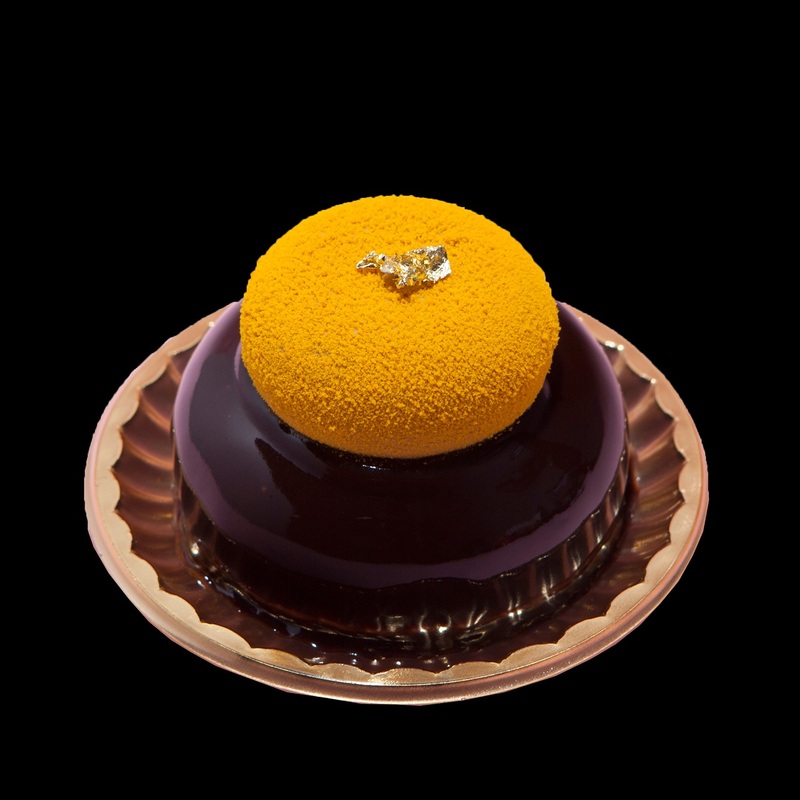 Mandarin jelly is beautifully placed inside the rich chocolate mousse on a chocolate sponge. Yellow chocolate sprayed chocolate mousse on top. 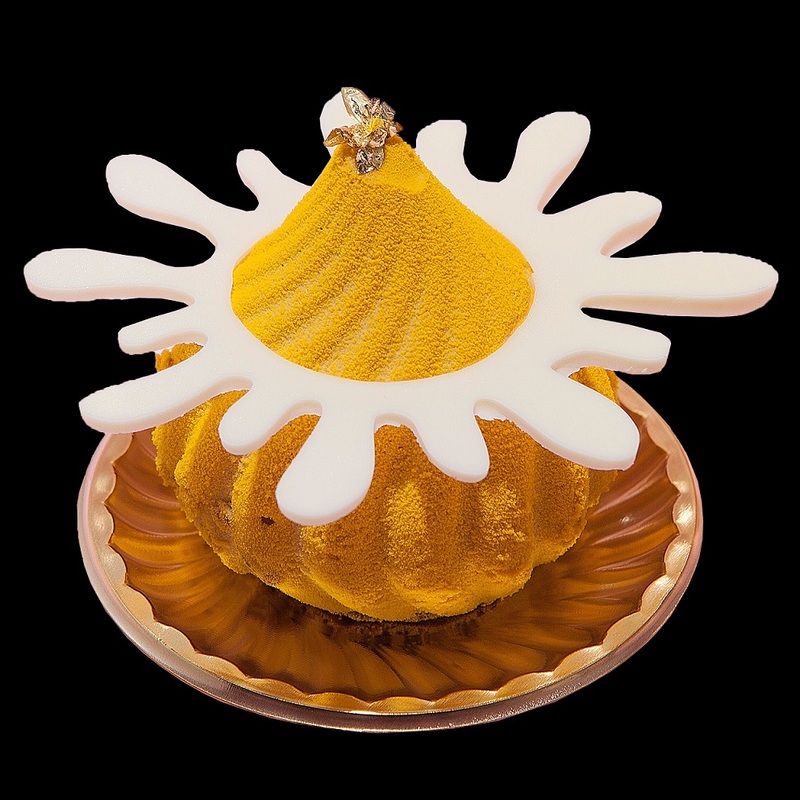 Mango mousse and passionfruit jelly on white sponge is coated with yellow glaze. 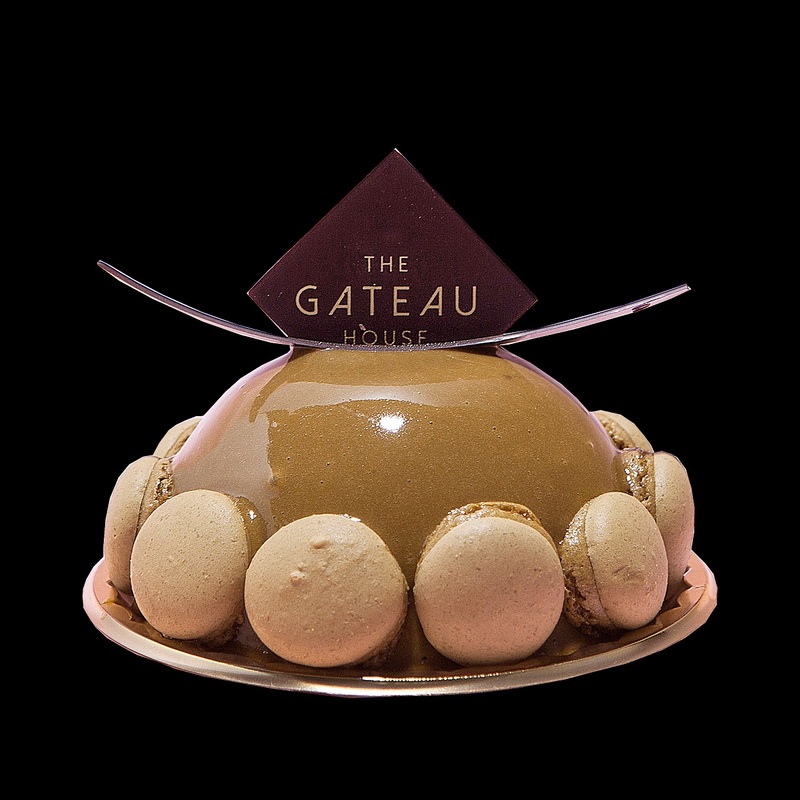 White chocolate mousse topped with coconut macaron, white chocolate and a gold flake. 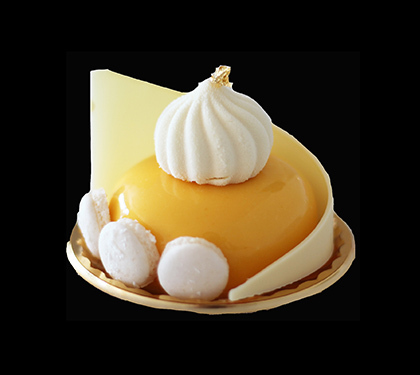 Mango jelly is placed inside the rich passionfruit mousse on a white sponge base. Finished with sprayed yellow chocolate and hand crafted chocolates. Highly flavoured praline mousse on a chocolate sponge base. Chocolate coated cereal inside and finished with praline chocolate glaze, macarons and chocolate decorations.